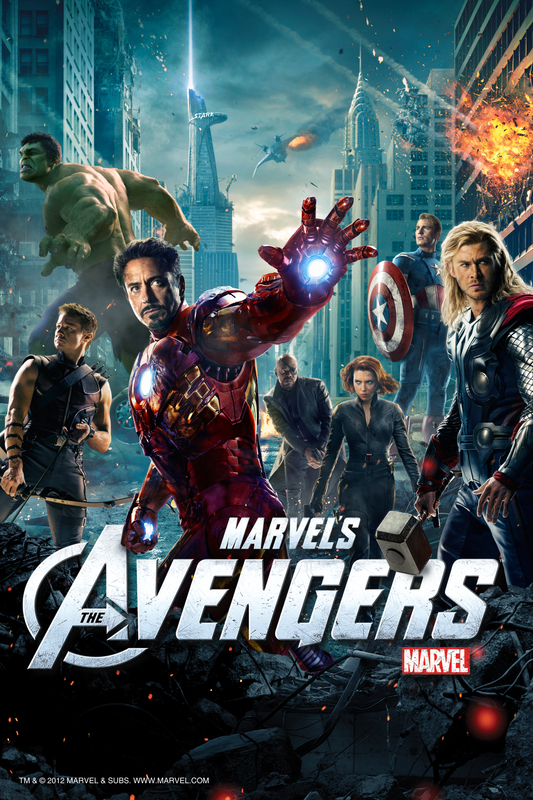 Tonight, I saw The Avengers in IMAX 3D. It is easily one of the best super hero movies I've seen in a long time. Between the action sequences and hilarious moments of well thought out humor, this movie doesn't disappoint. I haven't seen Captain America, Thor, or either of the Iron Man movies, but now I'm definitely going to rent them after seeing The Avengers. I mean, how could I not want to? The Avengers opened with the largest box office numbers ever grossing $200.3 million in the United States alone.Who wants to bet that Scarlett Johansson will ink a movie deal for Black Widow after this movie's giant weekend numbers? Iron Man, The Incredible Hulk, Thor, Captain America, Hawkeye and Black Widow answer the call to action when Nick Fury, director of the international peacekeeping agency known as S.H.I.E.L.D., initiates a daring, globe-spanning recruitment effort to assemble The Avengers team to defeat an unexpected enemy threatening global safety and security. Despite pulling together the ultimate dream team, Nick Fury and longtime confidant Agent Coulson must find a way to convince the Super Heroes to work with, not against each other, when the powerful and dangerous Loki gains access to the Cosmic Cube and its unlimited power.